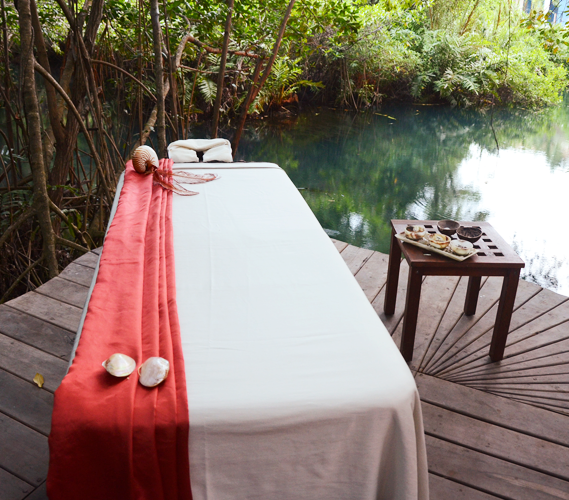 Learn the hidden secrets of Mayan honey treatments and their multitude of benefits. According to the National Honey Board, Americans consume about 1.3 pounds of honey per person each year. Now more than ever, people are realizing the amazing versatility of the all-natural ingredient. Its sweet taste is old news, but the popularity of honey and it’s skin-saving benefits is making its way into many beauty products and treatments. Honey is a humectant, so it attracts and retains moisture which makes it ideal for cleansers, creams, shampoos, conditioners and spa treatments. 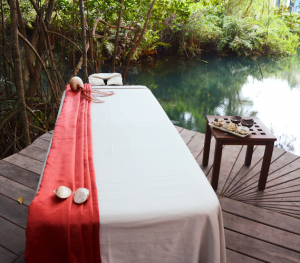 Home to a Mayan honeybee colony on site, The Sandos Caracol Eco-Resort & Spa located in the Mexican Caribbean, infuses local culture and traditions into their spa treatments. In an effort to protect the endangered specials, the resort is home to a Mayan honeybee colony. Twice a year a Mayan Shaman performs a ritual bee ceremony, which requests permission from the bees to extract honey for use in the spa’s rituals such as the Nourishing Ancient Maya Ritual, a therapeutic treatment that feeds the skin with vitamins and nutrients.